As our newest import from Japan, the land of “Hello Kitty”, Pot. 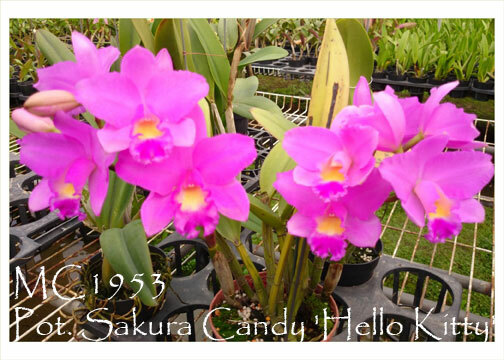 Sakura Candy is a charming teacup size Cattleya ! Due to the dominance of its C. loddigesii parentage, this fragrant hybrid can carry up to six flowers per inflorescence with excellent flower substance with its pollen parent dominating for its flower size. 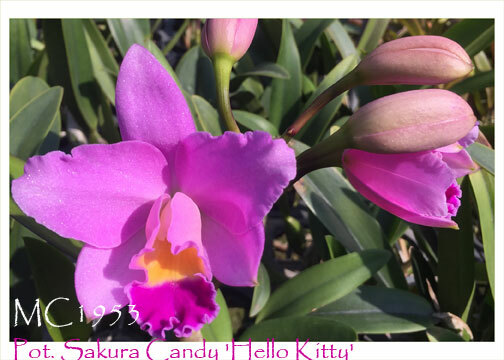 A spring and fall bloomer, ‘Hello Kitty’ is definitely Award Quality !